I don’t know how things are in your house, but around here, come Thanksgiving, PIE becomes a hot topic of conversation. We take our Thanksgiving menu very seriously, and nothing is more important to the success of the meal than the finale! 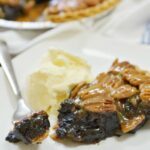 Our choices are usually the classics–Pumpkin, Apple, and–my all-time favorite–Pecan, but since my husband isn’t a huge fan of nuts, Pumpkin and Apple usually win out. But not this year my friends. 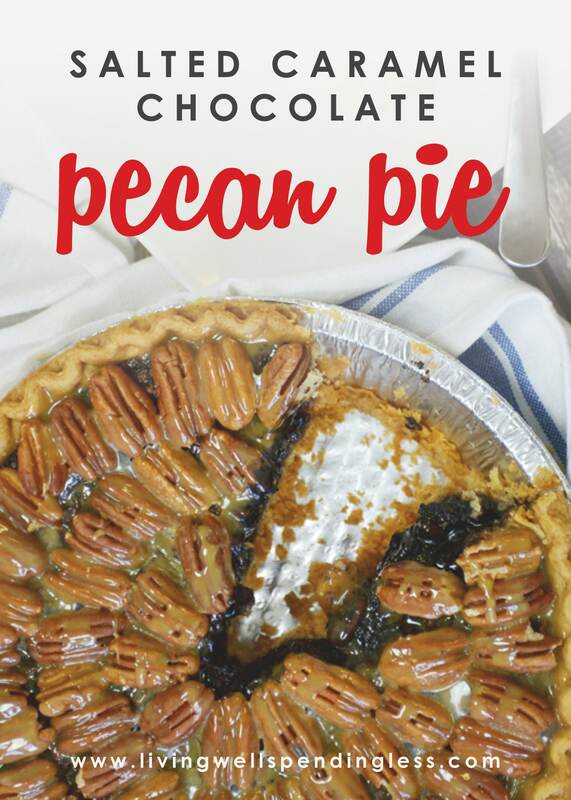 Oh no, this year we are all about the Pecan Pie, and not just any old pecan pie recipe either. 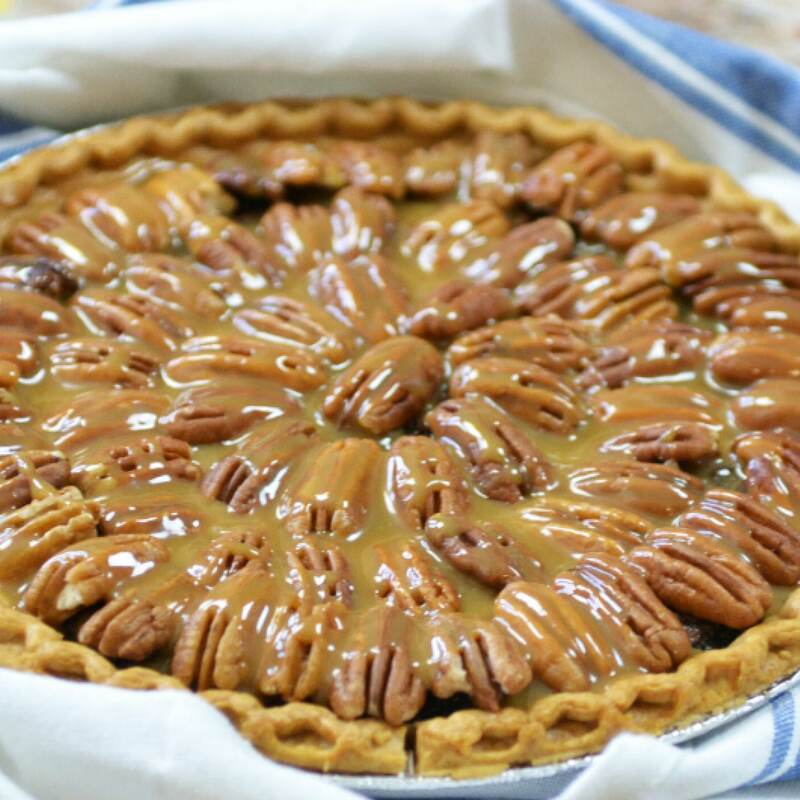 Salted Caramel Chocolate Pecan Pie. Mmmmmmmmmm…..can you taste it? Me too. 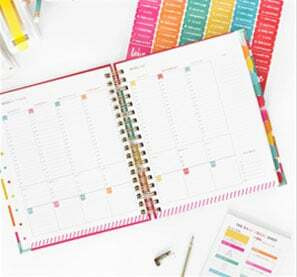 It’s not too late to pull it together before the big day, and it comes together pretty quickly & easily too. 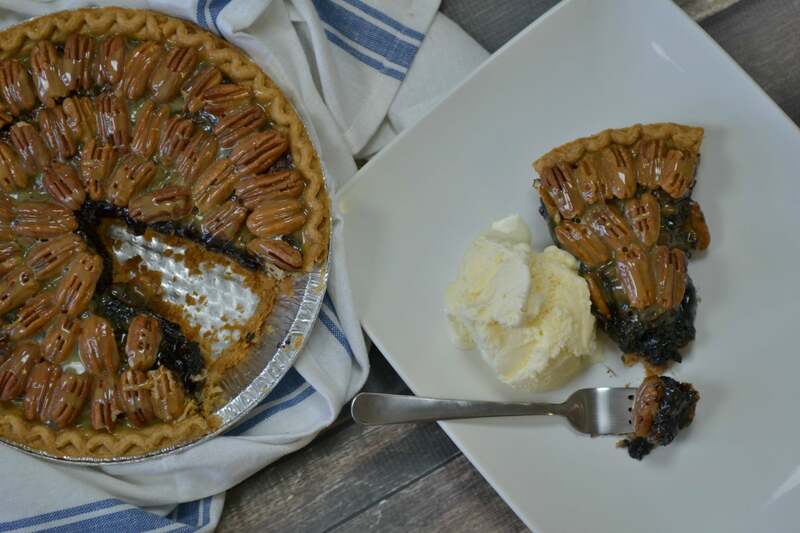 Pecan lovers, unite–join me in the fight to take back Thanksgiving this year! Step 1: Preheat oven to 375°F. 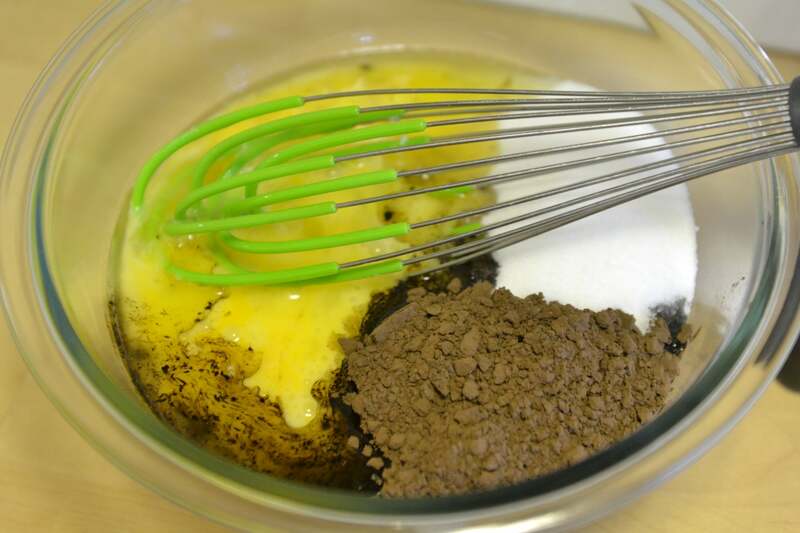 Beat sugar, butter, corn syrup, cocoa powder, salt and eggs in medium bowl with wire whisk or hand beater until well blended. Step 2: Stir in chopped pecan pieces. Step 3: Pour into pre-made pie crust. Step 4: Bake 40 to 50 minutes or until center is set (if crust begins to brown too fast, use a piece of foil as a shield to cover the entire pie). Step 6: After removing the pie from the oven, allow it to cool for approximately 10 minutes. Top with toasted pecan halves. Then heat caramel sauce in warm water or microwave; drizzle desired amount over top of pecans. Serve pie with ice cream and enjoy! This classic pie is made extra special with the addition of chocolate and caramel. Preheat oven to 375°F. 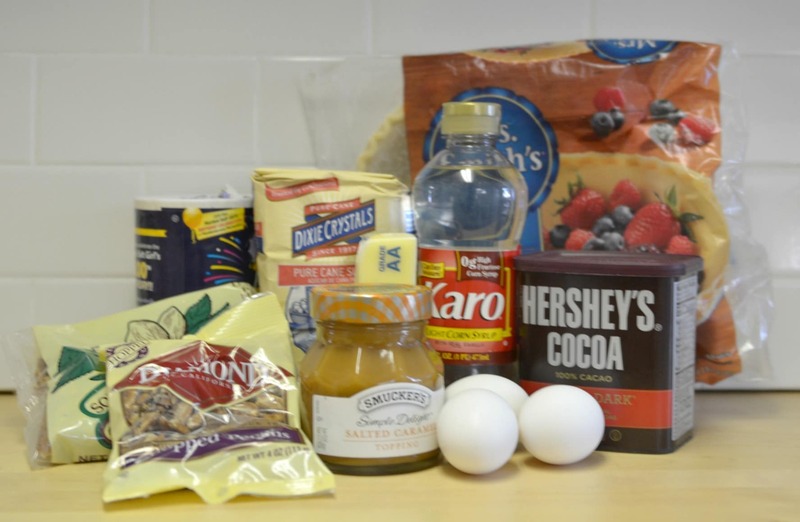 Beat sugar, butter, corn syrup, cocoa powder, salt and eggs in medium bowl with wire whisk or hand beater until well blended. 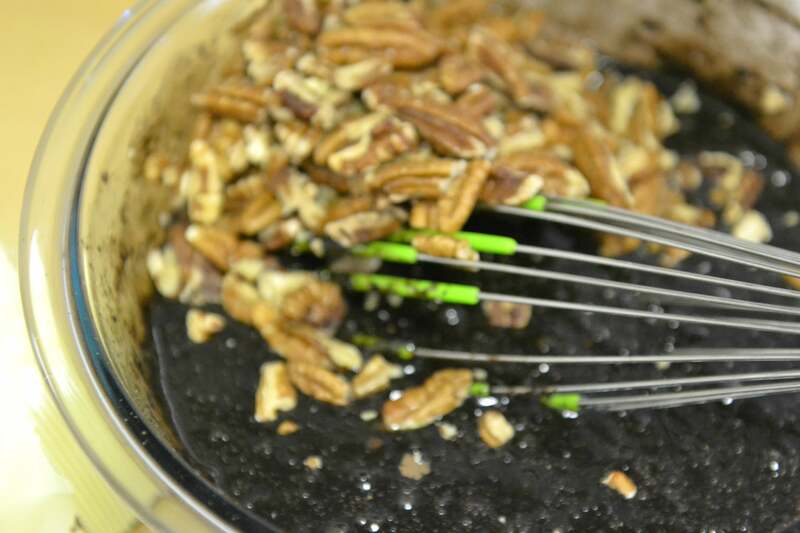 Stir in chopped pecan pieces. After removing the pie from the oven, allow it to cool for approx. 10 minutes. Top with toasted pecan halves. 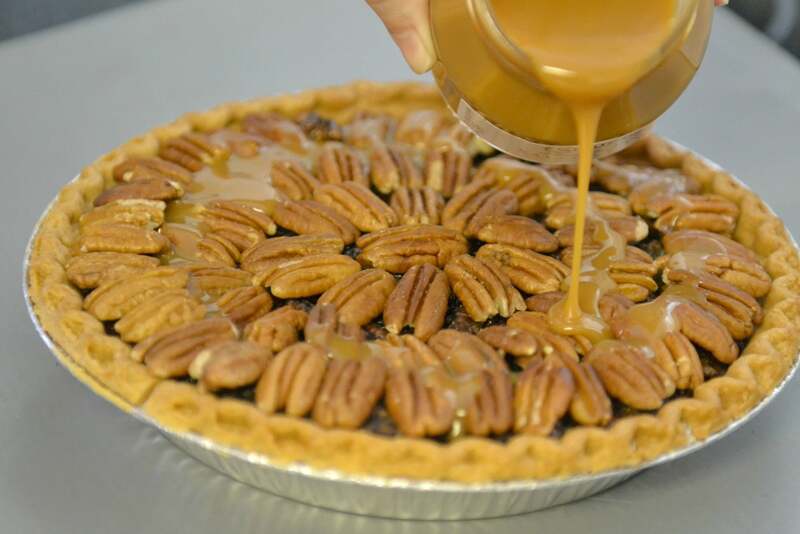 Then heat caramel sauce in warm water or microwave; drizzle desired amount over top of pecans. Serve pie with ice cream and enjoy! 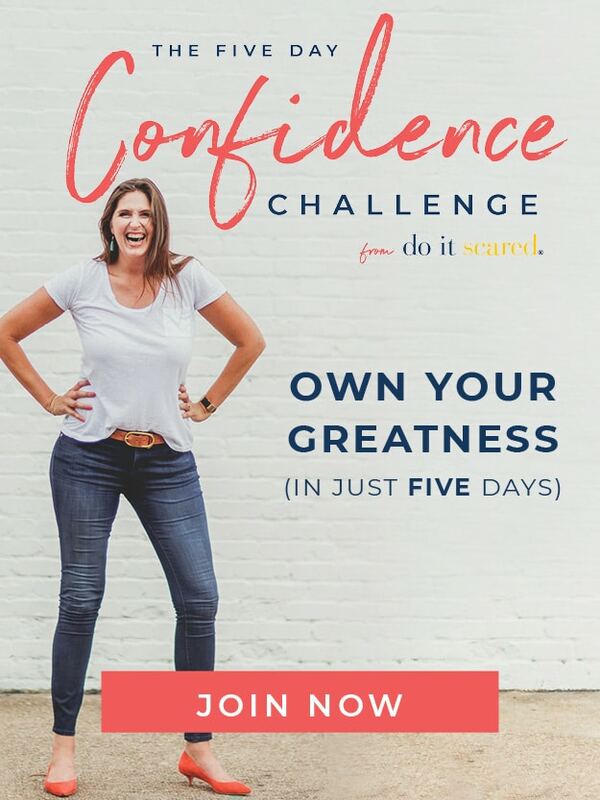 Trying this now! I’m just starting to bake and am super nervous to do so for my family’s Christmas! 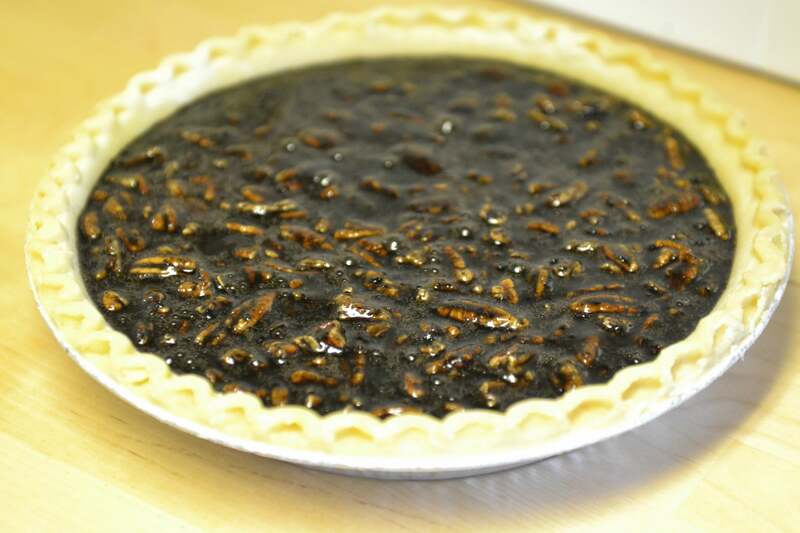 Pecan pie is my dad’s favorite so I hope he approves! This is a fabulous recipe…made it in 2016 for Christmas. 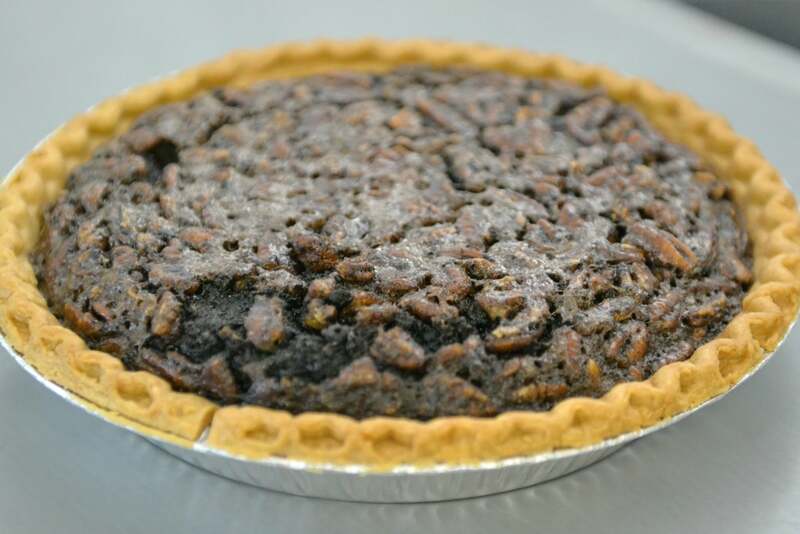 Made as stated except made my own crust, used 1/2 light and 1/2 dark corn syrup and cut the pecans in the filling itself to only 1 cup of pecans because we like the “chess” filling to shine!